Is you website highly ranked in Google? 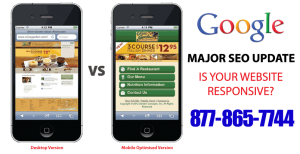 Can consumers easily navigate your website from their smartphone? If not, don’t be surprised if your website ranking plummets in Google search engine results as well as losing potential customers due to your website not being ‘Mobile-Friendly’! MOST CONSUMERS NOW SHOP ONLINE FROM THEIR SMARTPHONES (as opposed to the computer)! “GOOGLE Mobile-Geddon” is here, and websites that aren’t mobile-friendly will suffer from the latest Google apocalypse. Google recently updated its search engine algorithms to favor websites that look and perform better on mobile devices, making them appear much higher on search results. 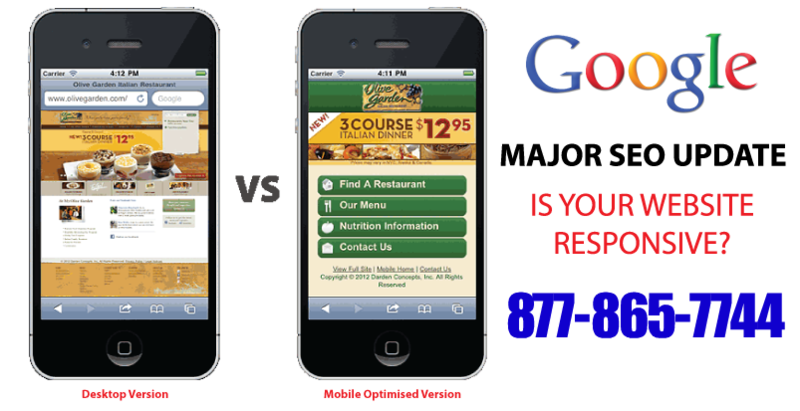 Previous changes to Google’s algorithm simply required website owners to make sure their websites are mobile-optimized for better viewing on smartphones and tablets. Now, factors such as readability, responsive design and not using non-mobile friendly software (like Flash) will also be taken into consideration in a website’s search ranking. 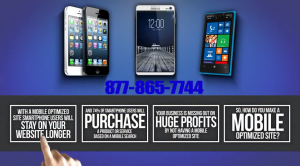 We can develop your mobile friendly website TODAY. 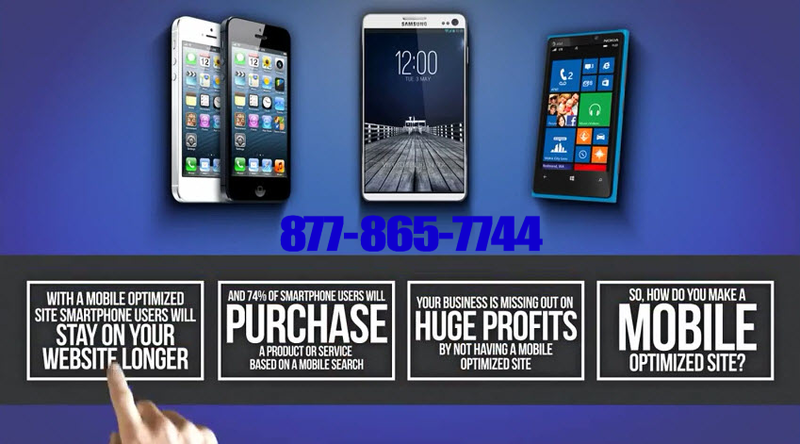 Don’t lose business because your website is not ‘mobile-friendly’!